The principles and practices of Personal Leadership help people access the inherently creative possibilities that exist when they come together from different backgrounds or with different perspectives. Instead of turning away from difference in fear or mistrust, Personal Leadership helps people engage with difference from a place of inspiration, curiosity, and full intelligence, and in alignment with their highest and best. The three authors have extensive personal experience working and living across cultures and in situations of difference, in both domestic and global contexts. The fifty stories used throughout the book to illustrate the core themes are drawn from their own lives and from those of the many Personal Leadership practitioners in global business, international education, diversity initiatives, team building, community building, international cooperation, and leadership development. Together they show how we can use Personal Leadership when we find ourselves in unfamiliar environments, in contexts that are rapidly changing, or in the midst of personal or professional transition. 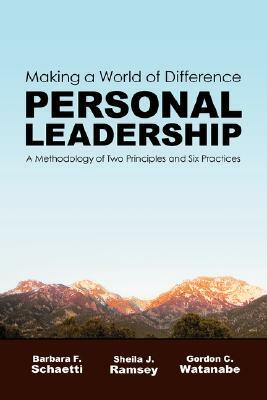 The book is well-written, easy to read, and intends to help us all "make a world of difference.